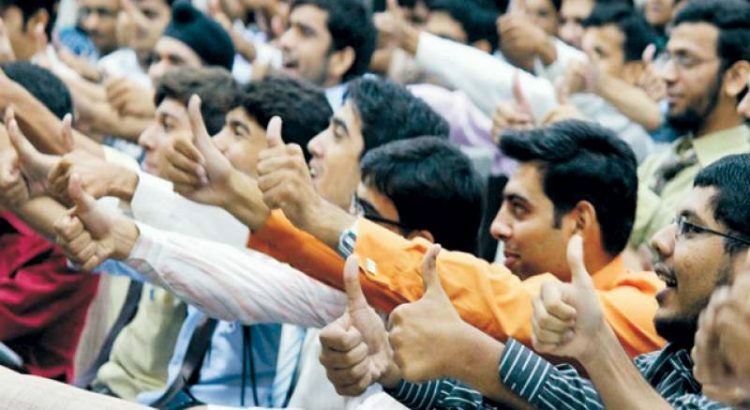 The youth today in Pakistan accounts for about 60 percent of the total population. Youth therefore is an integral part of the society and must never be ignored. Along with other issues of the country, the problems faced specifically by the youth are becoming a matter of great concern. If these issues aren’t addressed properly then the future will become uncertain and hazy. Despite numerous of them, the main issues are categorized under three areas. Education is the foremost important thing in the life of a child, it is what will eventually take them to the greatest heights and achieve their potentials. This all is dependent on how good the education system is. The problem with Pakistan’s education system is that there is not a single system but multiple standards. There is one for the rich kids famously known as O/A level, one for the poor known as metric system and one in the shape of madrassas. The issue is that all these three systems are not perfect and have a lot of loopholes. The system for the rich kids may involve great use of technology and modern methods but challenges the values and culture fed to them. Metric system has books and syllabus which cannot compete with the growing world and madrassas promote extremism. When children living in the same country are being brought up in different systems and taught under a different curriculum, their thoughts and opinions will always clash. For them to be able to compete on a fair level the system needs to be the same and they need to get out of that confusion. We see children from all over the world moving forward on the basis of their talents and skills but little do we see that success for the kids in our country. Why is that so? Is that because our children are not talented? No! It is just because they are not provided with the right opportunities. Despite not being provided a good education system and qualified teachers, the children have still managed to make the country proud in fields of technology, science and maths. The only problem which comes is that there is no one to encourage them to further pursue their work. We have numerous graduating doctors who are extremely talented in their respective areas but they have no choice but to go abroad for jobs, because here they are not paid according to their skills. The government needs to spend on this sector too because eventually this will determine the future success of our country. We all need some time off from our daily routines and busy schedules. Children and teens too look for places where they can relax and have a good time with their friends. In foreign countries, people have multiple places for recreation and entertainment but in Pakistan, there is nothing except a few restaurants. Due to this reason, children are left watching T.V or surfing the net. This makes them lazy and can have a bad effect on their health too. Apart from this, children then look for other negative ways of entertainment like smoking and drugs. This needs to be controlled and children need to be educated on the harmful effects of these activities. These problems may seem small and government may think that there are other important issues to deal with like development and infrastructure. This, however, is a sensitive problem and needs to be dealt with immediately so that a bright future is guaranteed for children and the country as well.